After the visit of the ISS via Google Street View, here is the exploration of Mars in virtual reality. This experience, designed for the Oculus Rift, HTC Vive and soon PlayStation VR helmets, was designed by FMG Labs, a subsidiary of Fusion Media Group (Gizmodo, Kotaku, Lifehacker, etc.) with the American Aerospace Agency (NASA). 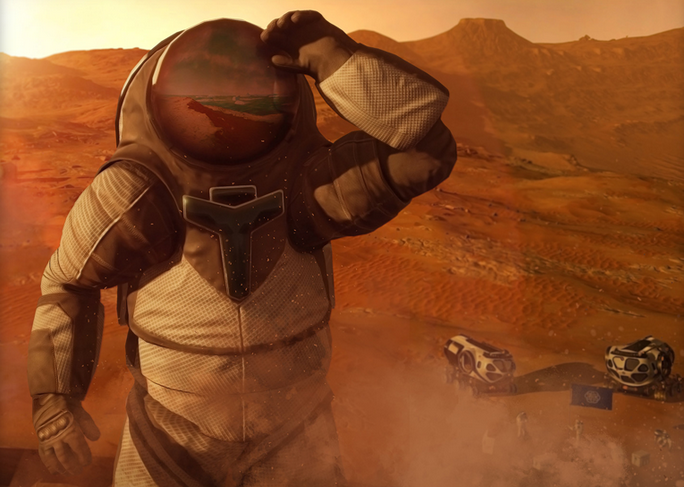 Also playable without virtual reality, the simulation will allow you to explore a ground of 40m ² on the surface of the red planet. The latter was modeled in 3D using the Unreal Engine based on images captured by NASA’s Mars Reconnaissance Orbiter. Traveling aboard a Rover, you can discover the Martian landscapes as if you were there, take samples and even carry out analyzes. FMG Labs says it has gone so far as to reconstruct the climatic conditions of the planet. The experiment is actually ultra realistic, but as our American colleagues in The Verge point out, several problems were simply evaded by the creators of the game, including space radiation. Understand that it is exploration and not survival. Mars 2030 is available on Steam against the sum of 15 dollars, but as the experiment is also educational, the download is free for teachers and students.